New York, NY - Summer may be winding down, but the fashion industry is kicking into high gear as the newest Collections are making their debut. 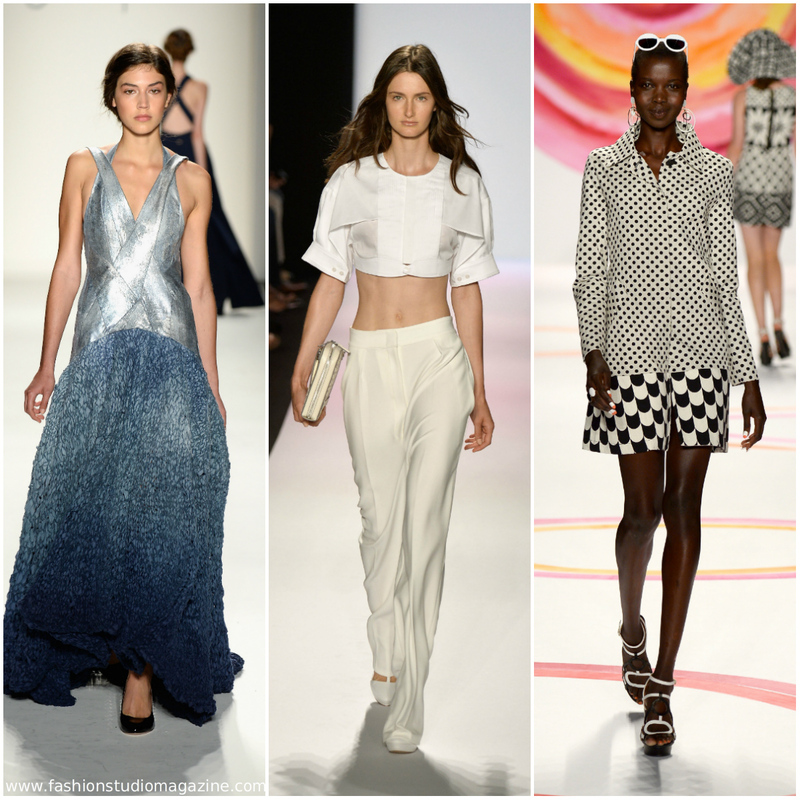 Mercedes-Benz Fashion Week draws hundreds of thousands of fashion fans to New York City, as designers take center-stage at Lincoln Center, September 5-12, 2013. The Spring 2014 Collections will include: NICHOLAS K, BCBGMAXAZRIA, RICHARD CHAI, SUPIMA, TADASHI SHOJI, CANDELA, DESIGUAL, MARISSA WEBB, THE ART INSTITUTE OF NEW YORK CITY, FASHION LAW INSTITUTE, ZIMMERMANN, PROJECT RUNWAY, CARMEN MARC VALVO, NOON BY NOOR, NAUTICA, REBECCA MINKOFF, NICOLE MILLER, ARGENTINE DESIGNERS, TODD SNYDER, ELLE FASHION|NEXT, ACADEMY OF ART UNIVERSITY, MARK + ESTEL, RUFFIAN, RAFAEL CENNAMO, LACOSTE, JILL STUART, SON JUNG WAN, MARA HOFFMAN, MALAN BRETON, HERVÉ LÉGER BY MAX AZRIA, KATYA LEONOVICH, CHARLOTTE RONSON, MONIQUE LHUILLIER, VENEXIANA, LELA ROSE, DKNY, TRACY REESE, CUSTO BARCELONA, TRINA TURK, DIANE VON FURSTENBERG, JOANNA MASTROIANNI, Y-3, VIVIENNE TAM, ZAC POSEN, RALPH RUCCI, RICARDO SECO, EMERSON BY JACKIE FRASER-SWAN, MATHIEU MIRANO, RUBIN SINGER, CAROLINA HERRERA, TOMMY HILFIGER, PAMELLA ROLAND, HACHE, CZAR BY CESAR GALINDO, CONCEPT KOREA, DONNA KARAN NEW YORK, FALGUNI AND SHANE PEACOCK, REEM ACRA, KAUFMANFRANCO, LIBERTINE, TORY BURCH, J.CREW, STEVEN ALAN, BADGLEY MISCHKA, VERA WANG, JENNY PACKHAM, DIESEL BLACK GOLD, ADEAM, NAEEM KHAN, DENNIS BASSO, ALON LIVNÉ, ZANG TOI, MM6 MAISON MARTIN MARGIELA, FASHION SHENZHEN, BIBHU MOHAPATRA, BRANDON SUN, MICHAEL KORS, NANETTE LEPORE, RACHEL ZOE, J.MENDEL, CLOVER CANYON, MILLY BY MICHELLE SMITH, BETSEY JOHNSON, ANNA SUI, ANYA CALIENDO, OSKLEN, B. MICHAEL AMERICA, RALPH LAUREN and CALVIN KLEIN COLLECTION. Title sponsor Mercedes-Benz is joined by DHL, American Express®, Maybelline New York, TRESemmé, Samsung, Reel Code, Style Network, WGSN, Beck’s Sapphire, The New York Times, as well as Women's Wear Daily and Getty Images. Mercedes- Benz Fashion Week is an IMG event. The Spring 2014 Collections take place September 5th - 12th, 2013.